Self-love is an ongoing process. We are constantly learning, moving, and growing in different directions and learning how and where we fit along the way. 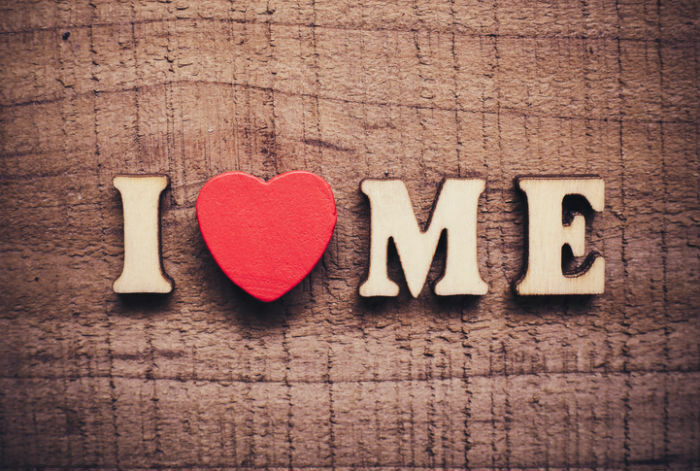 Self-love may be hard work, but it’s arguably the foundation for many aspects of our lives. Here are five ways to love yourself everyday. What we put in our bodies shows physically, and emotionally. Like feeling sluggish after a large meal or energized after a shot of espresso, everything we give our bodies has an effect on them. Our bodies work with what we give them. Thanks to Popeye, we remember to eat our spinach for our physical health, but what the beloved cartoon character didn’t mention is that we eat it for our mental health, too. Plenty of foods that are good for your body are good for your mind as well. For example, chamomile, lavender, and pineapple are all known to have anxiety-reducing properties. Meanwhile, bananas and turmeric are known to have mood boosting qualities. Feeding your mind is feeding your body: the thoughts you consume have an affect on your well being. Feeding yourself negative thoughts will allow those thoughts to manifest themselves. Living a negative life in your head will have an affect on your life outside it, too. Keeping a positive mind can become a significant healer; it aligns with the idea that we start to believe the things we constantly hear, whether it’s from another or ourselves. 3. Be both gentle and strong. Keeping positive thoughts in mind may be difficult for many. In a society where comparisons are as common as the cold, it’s easy to come down on ourselves. To love ourselves we must be gentle and strong: be gentle with our words and strong with the words of others. Treat yourself gently when you slip up, and understand that mistakes are both positive and learning experiences. When others criticize, be strong; take constructive criticism and use it to your advantage. Mistakes will only make us better if we treat them as such. Communication technologies are a wonderful aspect of living in the modern world. We are able to see and talk to anyone at any given time, allowing friends and family who are far to sit right here next to us. But with communication all around we often forget the importance of spending time with ourselves. Quality time alone allows us to get to know ourselves, and to become confident in who we are. One of the best ways to spend time alone is to spend it doing something you love. It could be anything—there’s no such thing as too big or too small. Feel free to get creative. In the rush of daily life, we tend to shelf the things that we love to do in favor of a more pressing task for work or someone else. Carving out time in your schedule for your passions can go a long way in that it acts as a little break from the world by entering into your own. If you’re not quite sure what your passions are, take this time to learn them and to build yourself.